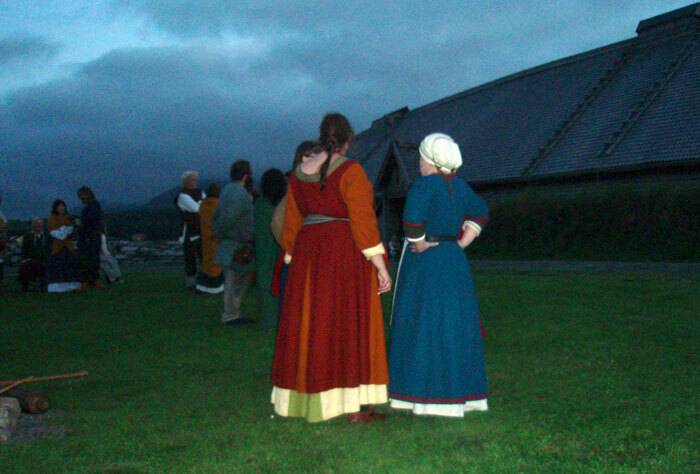 The medieval visionary Draumkvadet in Uvdal st.ch. 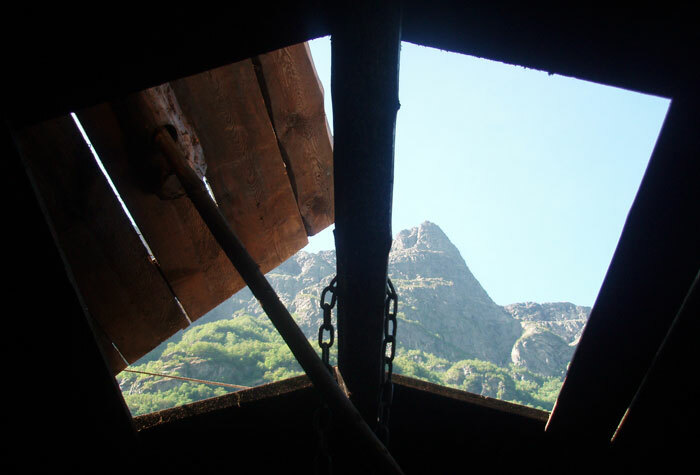 Wiew to the mountains throuh the roof, Gudvangen. 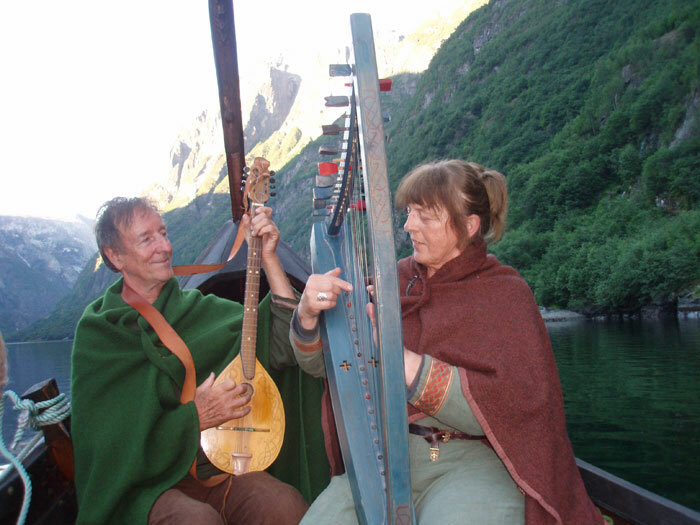 Midtsommer vede langhuset , Borg i Lofoten. 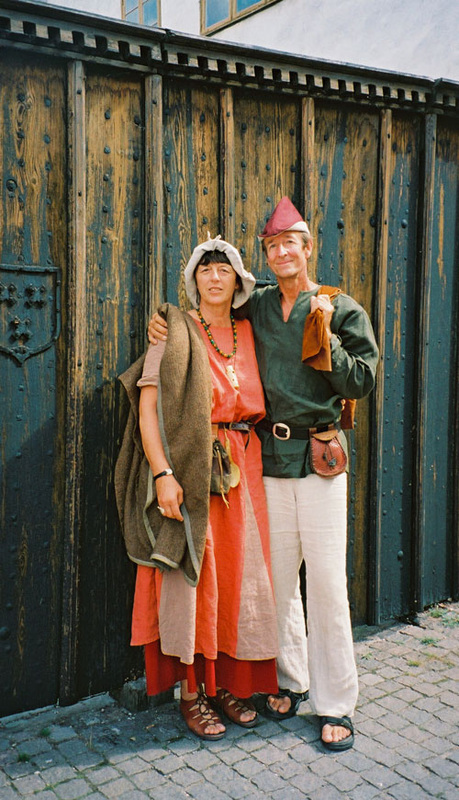 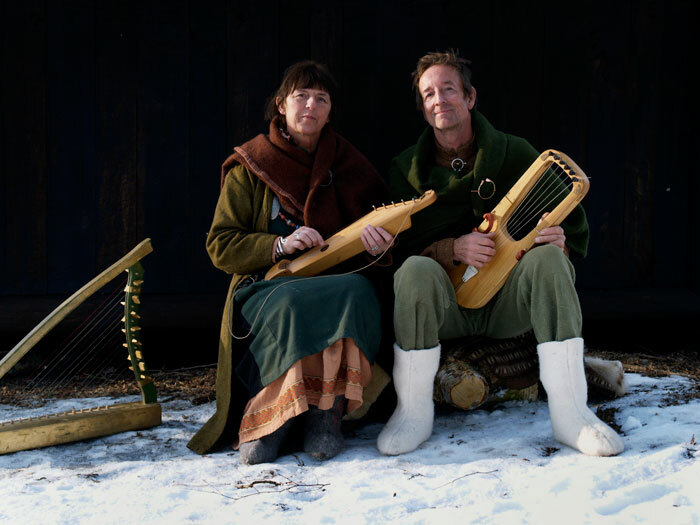 Medieval week in Visby, Gotland. 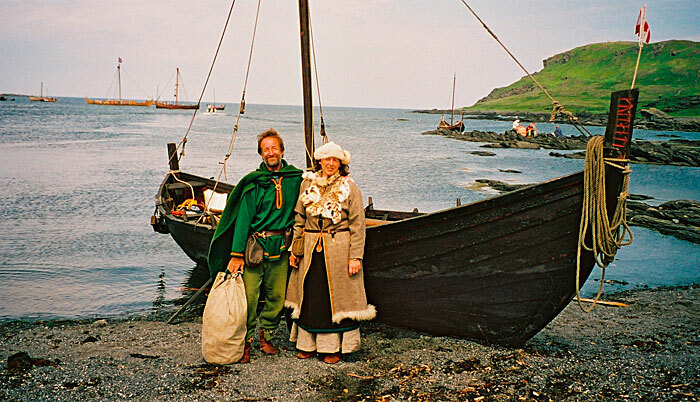 The shores where Leiv Erikson landed when arriving the american continent 1000 year ago. 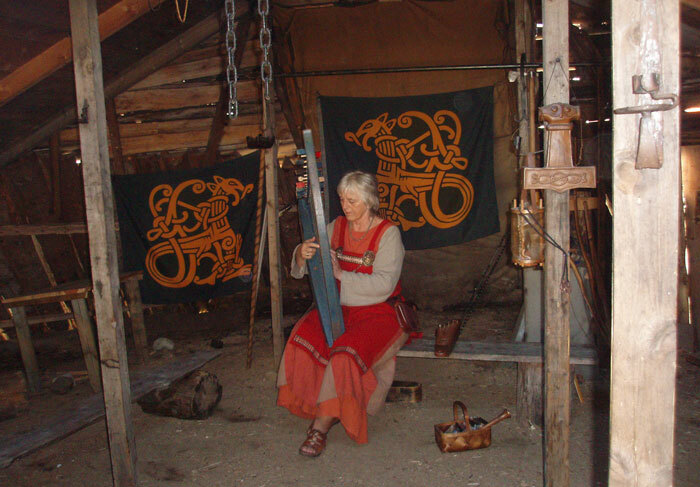 På historisk grunn i Vinland, Newfoundland. 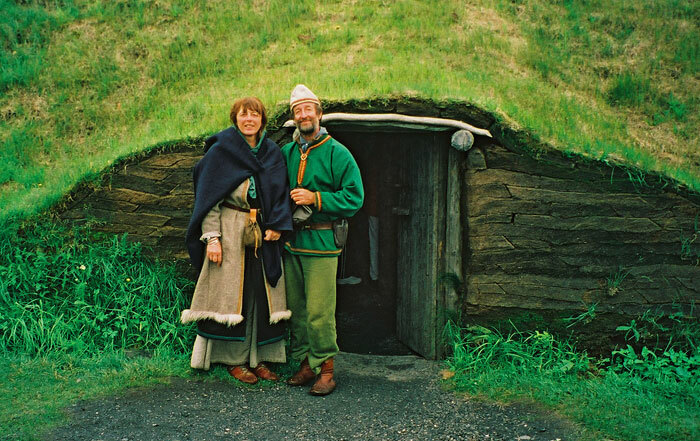 Utenfor inngangen til Leivsbuene på L'Anse aux Meadows , New Foundland. 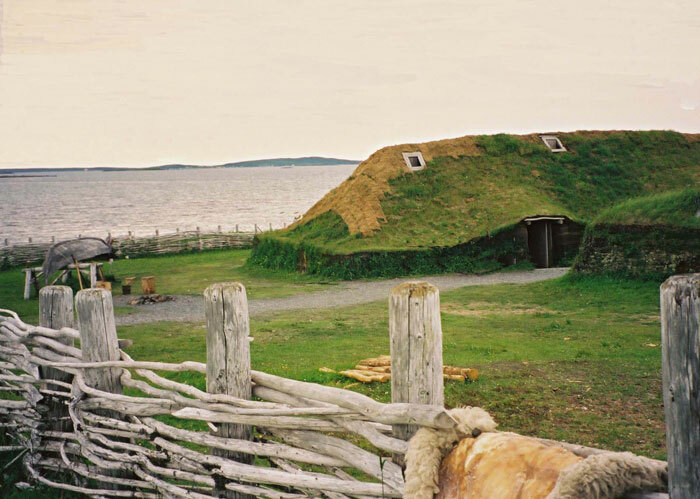 The entrance to Leiv Erikson house at L'Anse aux Meadow New Foundland. 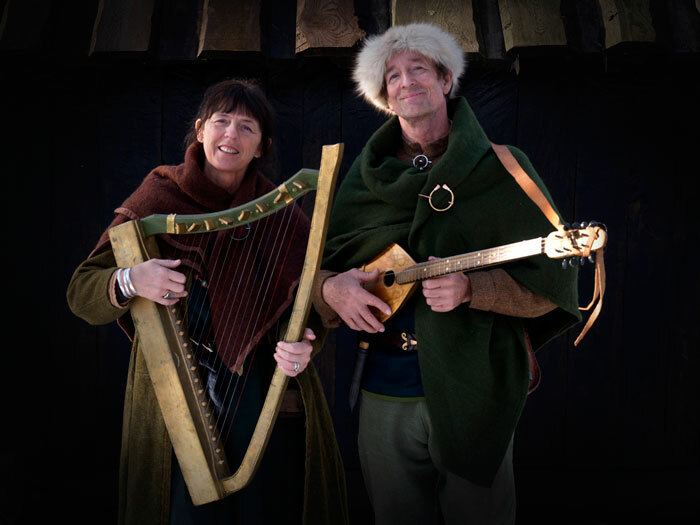 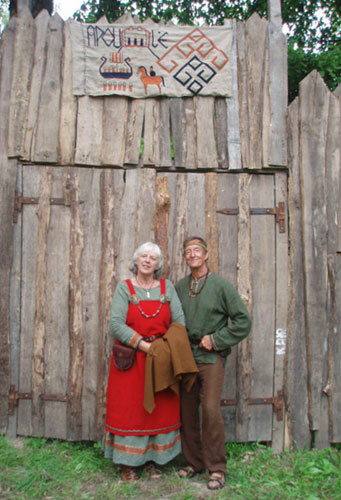 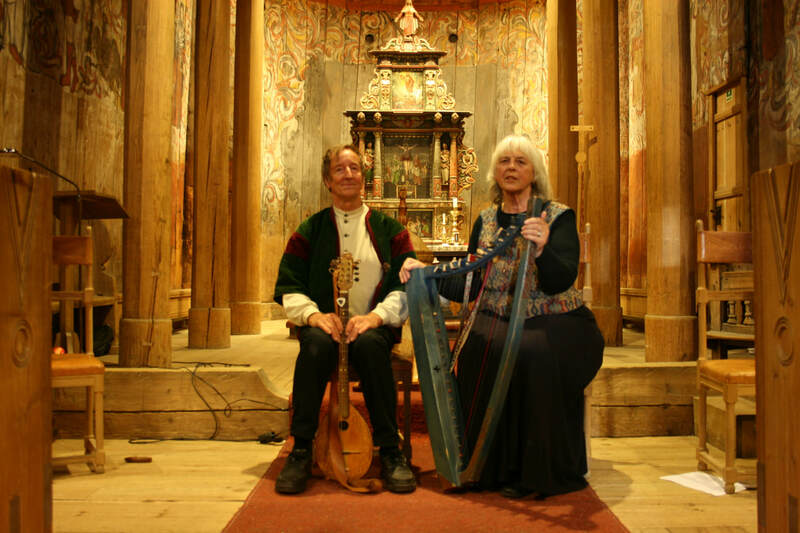 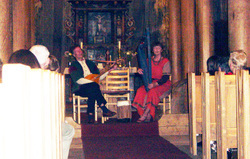 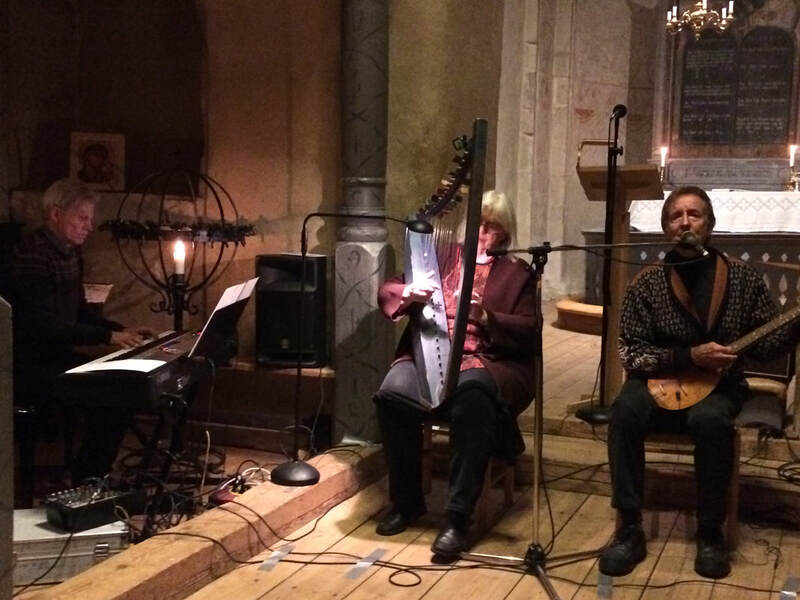 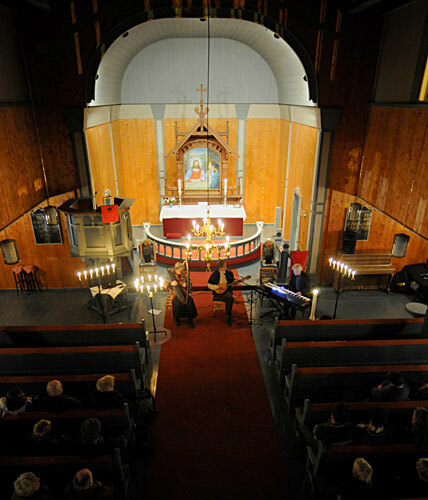 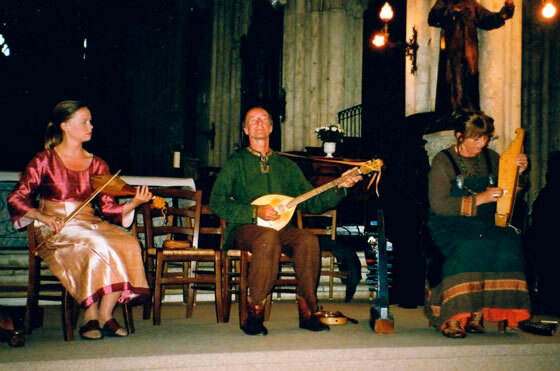 Harald with his 8 string luth, and Mari with norwegian medieval harp.